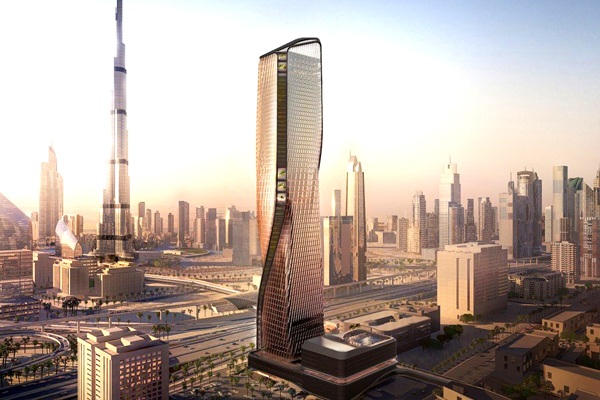 Al Wasl Tower ... a major project for Empower. UAE-based Emirates Central Cooling Systems Corporation (Empower) has awarded Dh175 million ($48 million) contracts for extension of its district cooling pipe networks in the emirate. The entity will extend its district cooling pipe network on Sheikh Zayed Road to serve the Dubai Arena and Al Wasl Tower within 3 km from Empower’s district cooling plant in Business Bay. Unique technologies will be used to connect the pipes in a way that does not disturb road traffic system, by digging a tunnel under Sheikh Zayed Road, with a depth of 15 m. Another pipe network will be extended to Al Batha Tower. The extension will also include other projects at Dubai Healthcare City (Phase Two Jumeirah Village South, Dubailand, Cityland, and Dubai Science Park (Phase Two) with a total length of 8 km. Announcing the new contracts, CEO Ahmad Bin Shafar said an advanced infrastructure contributes to providing world-class district cooling services. Empower, he stated, pays great attention at all its operational phases, from its district cooling plants to its high-quality and environmentally-friendly pipe networks.